5-star Luxury beach resort; The Leading Hotels of the world. The Royal-Riviera hotel occupies a plum spot on the Cap-Ferrat peninsula. Overlooking Provençal gardens terraced down to the sparkling Mediterranean, the hotel blends palace grandeur with the intimacy of a boutique property. 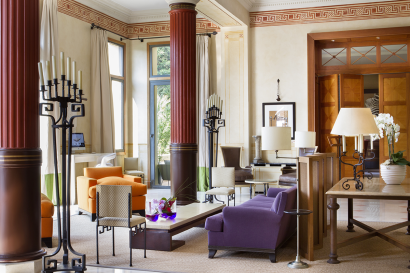 Build in 1904 under the name of the « Panorama Palace », the hotel was already renowned at the time for its luxury, enjoyed during their stays by European aristocracy and celebrities from all walks of life. The hotel boasts a total of 94 rooms and suites, 78 of which are in the main building. 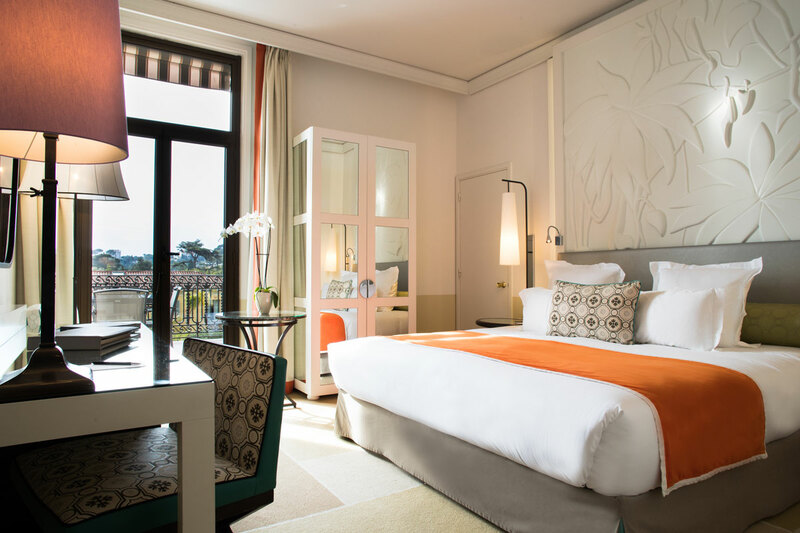 Designed to reflect the landscape of the south of France, the majority of the rooms overlook the sea and gardens. 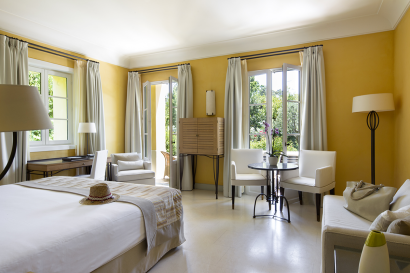 The private villa l’Orangerie features 16 additional rooms and Suites decorated in the purest Saint-Jean-Cap-Ferrat style. 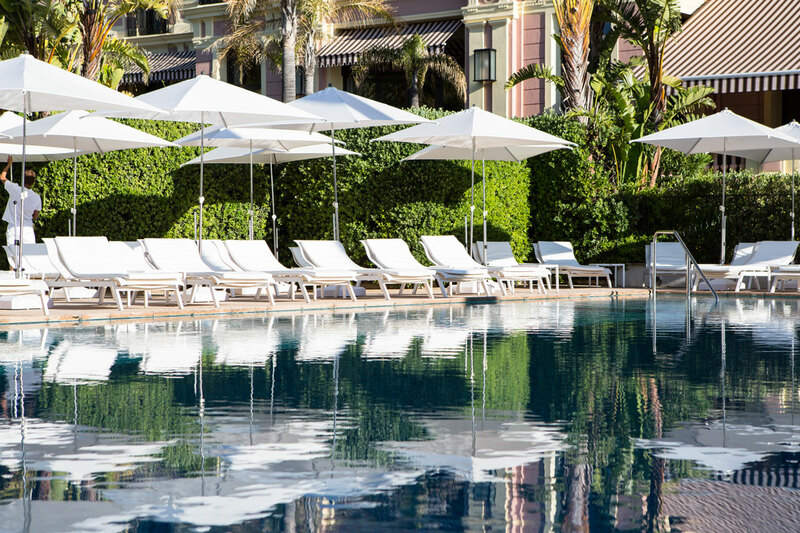 True relaxation is waiting just steps away from the main building, on immaculate sun-mattresses around the pool heated year-round, on the private sandy beach in season or at the Thalgo wellness center. With the omnipresence of the southern gardens and views of the sea, reading a book, drinking tea in the heart of the magnificent garden, everything becomes different, more beautiful than anywhere else. 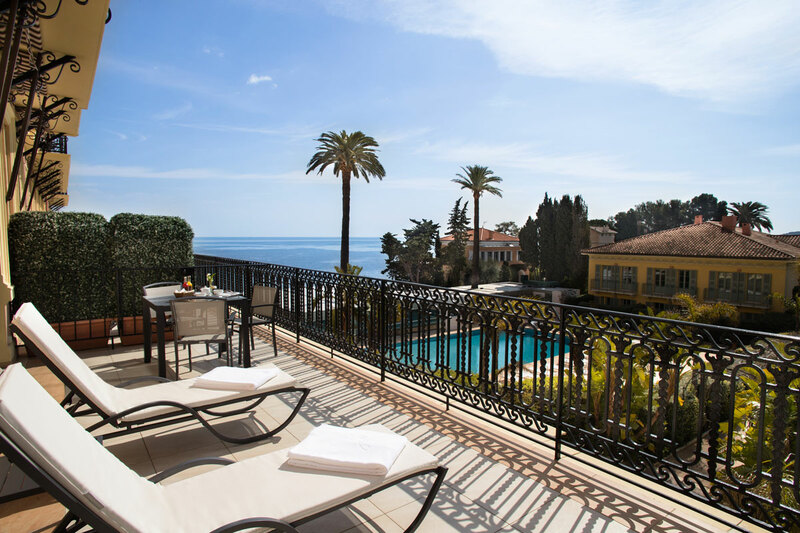 An historic fishing village, Saint-Jean-Cap-Ferrat is a beautifully situated seaside resort sought after for its tranquility. The Cape, comprising the extreme southern point, extends north to the mainland where on one side lies the romantic village of Villefranche-sur-Mer and on the other side the peaceful Baie des Fourmis of Beaulieu-sur-Mer. 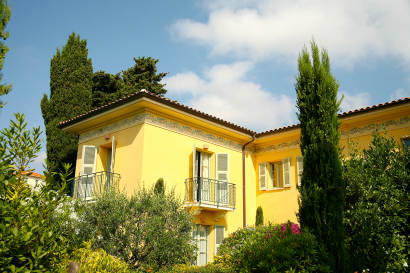 Saint-Jean-Cap-Ferrat and its surrounding region boasts magnificent villas, museums and gardens all for visitors to discover. 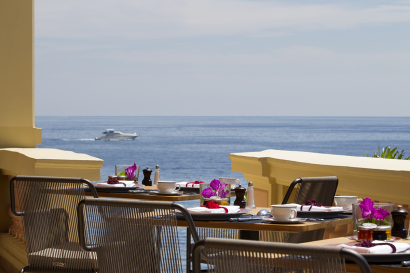 • Nice and the Principality of Monaco: local and high gastronomy, museums, shopping, nightlife. Some have it that it was here that Paris Singer « Lord of the Manor » of Saint Jean, fell under the spell of the famous American dancer Isadora Duncan. • 1, 2 or 3 bedrooms suites (up to 10 persons). 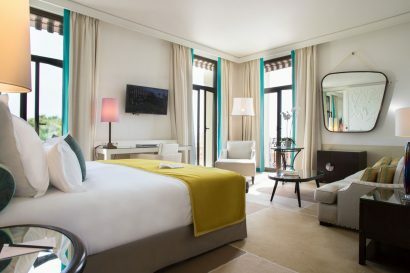 The main building provides a wide palette of 78 rooms and suites, either designed in classic or contemporary style, with plunging views on the Mediterranean and gardens. The Orangerie, a separate “villa” of 16 rooms and suites across the gardens, reflects the colours of the sea and sun. 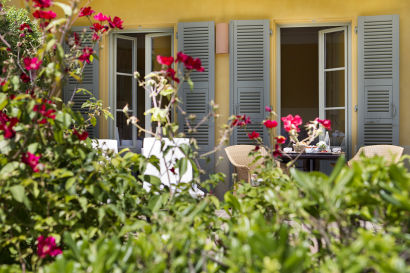 • 2 One, two or Three Bedrooms Suites Orangerie, with Garden & Pool view, balcony or terrace. 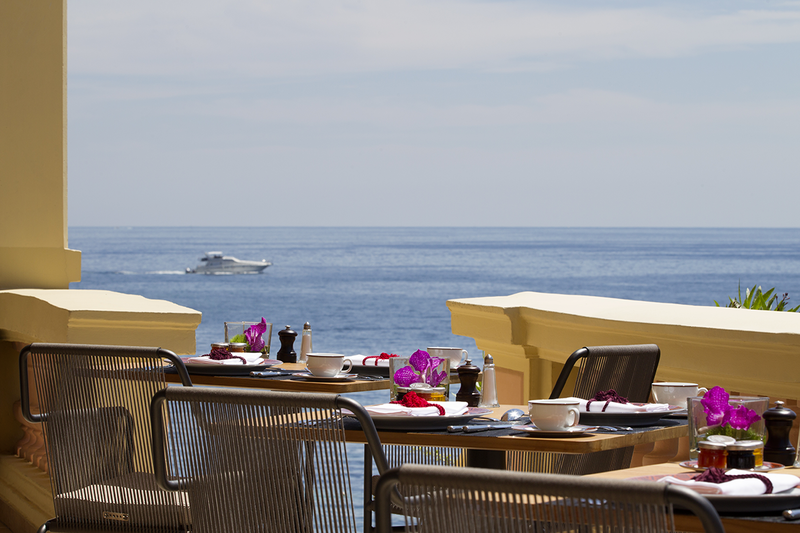 Gourmet restaurant with panoramic sea view terrace. 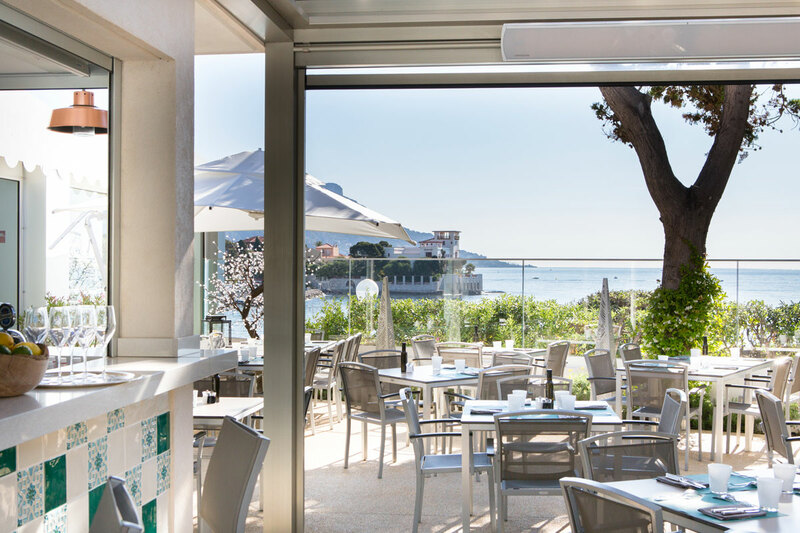 The gourmet restaurant La Table du Royal offers French gastronomy with Mediterranean inspiration for an impeccable and inventive dining experience. 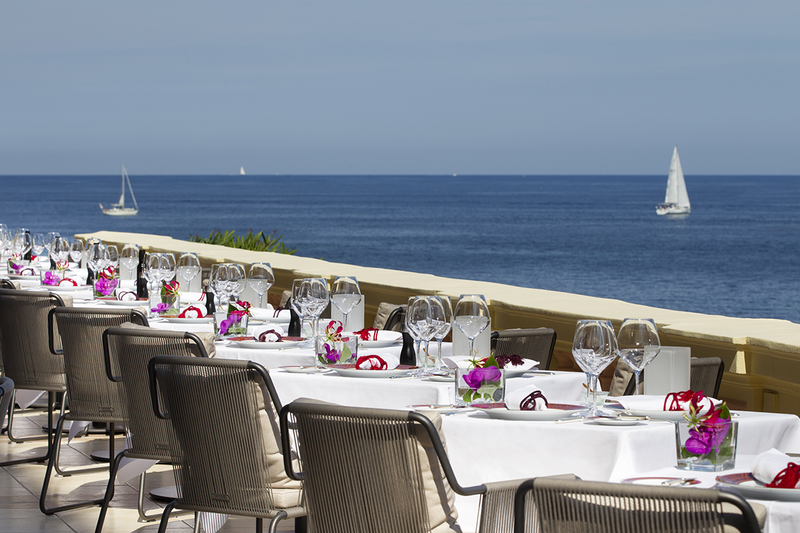 At the edge of the pool and overlooking the famous Baie des Fourmis in Beaulieu-sur-Mer, the Jasmin Grill & Lounge invites you on a voyage from the Road to India to the Villa Kérylos. Entirely redesigned, the new, more contemporary and modular structure transforms the space into a terrace open to the sky. For lunch facing the sea or afterwork relaxation by the pool, the Jasmin Grill & Lounge is the ideal place for getting away from it all. The outdoor kitchen features a real tandoori oven for original Indian specialities. Fish and meat “à la plancha”, buddha bowls, pasta and burgers complete an enticing array of international dishes. At the Cap Bar, guests will feel the impression of being in a collector’s room with a colonial decor. 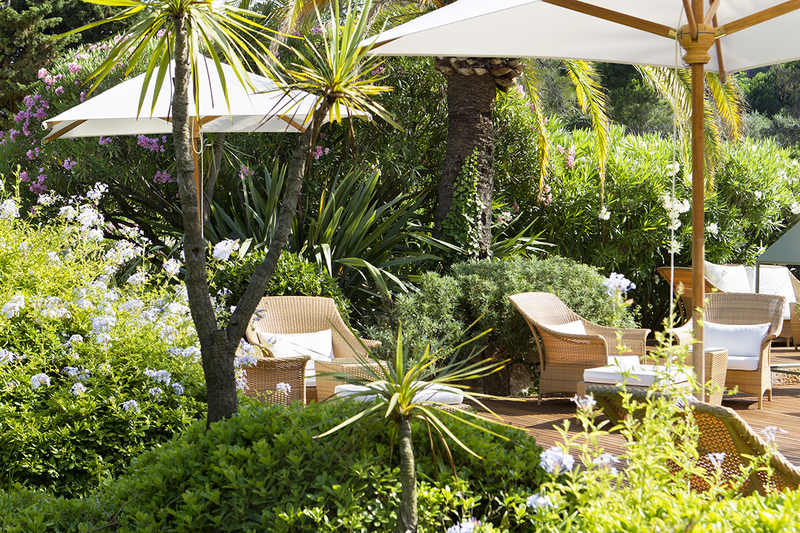 They will enjoy an intimate and peaceful moment on its terrace overlooking the aromatic gardens. Guests will experience the world of Marine Beauty, with our range of THALGO treatments elaborated from Marine research. Guests have free access to the sauna, steam bath and fitness area. 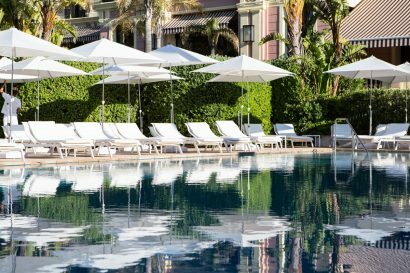 With a dedicated event space, the Royal-Riviera is the perfect confidential venue for 10 to 110 people on any occasion: board meeting, gala dinner, prestigious event, private party, product launch and group incentive. • Monte Carlo Golf Club at 20 minutes’ drive. Up to 120 during high season.